Anxiety is the most common type of mental health disorder in the United States. It’s characterized by everything from difficulty sitting still and shortness of breath to nausea and rapid heartbeat. Most people experience at least one episode of anxiety within a year, while millions of them are actually diagnosed with one of these disorders. Did you know that anxiety is actually its own class of disorders? Conditions such as panic disorder, PTSD and various phobias fall under this psychiatric classification. To illustrate how prominent anxiety is in our country and beyond, we at Maryland Recovery have taken the time to produce an expansive, helpful infographic that features worldwide, national and state statistics related to anxiety disorders. 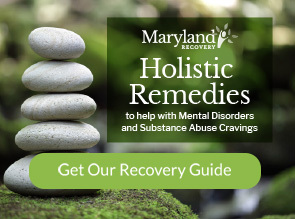 You also won’t believe some of potential causes of anxiety, right down to nutritional deficiencies and weight loss supplement use, not to mention substance abuse and withdrawal. Our highly visual infographic lists dozens of the potential causes of anxiety disorders. After perusing the image below, we invite to share this important info with family and friends. If you have any questions about receiving treatment for substance abuse and anxiety, please read about our dual diagnosis program. Please include attribution to MarylandRecovery.com with this graphic.